Time granted. The Centers for Medicare & Medicaid Services (CMS) has once again extended the deadline for physicians to begin using clinical decision support (CDS) software when ordering advanced imaging studies. The mandate is included in the Protecting Access to Medicare Act (PAMA), which Barack Obama signed into law in 2014. Under PAMA, CDS software, which is based on appropriate use criteria (AUC), is to be used whenever physicians order advanced imaging studies—MRI, CT, and nuclear medicine studies such as PET and SPECT—for Medicare/Medicaid patients in outpatient settings including physician offices, hospital outpatient departments, ambulatory surgical centers, and provider-led outpatient centers. The original deadline to begin using CDS software was January 2017. In 2015, the deadline was extended to January 2018. In mid-July, CMS extended it yet again—this time until at least January 2019. In making the announcement, CMS also said penalties won't be imposed on those who aren't in compliance with the program until at least 2020. Just because it's taking long and deadlines keep getting pushed back, this doesn't mean it won't happen, says Cynthia Moran, the ACR's executive vice president for government relations, economics, and health policy. "CMS seems committed to going forward with building out the program," she says. "The program is coming." That CMS is giving practitioners more time to familiarize themselves with and learn to use CDS is a good thing, Moran says. "The program is going to be around for a long time, and CMS wants to make sure that it builds it correctly and that the provider community is ready for it when it happens." Radiologists agree that extending the deadline gives practitioners time to resolve key issues, such as what to do with those who don't comply, and meet challenges, such as integrating decision support workflows with imaging providers' existing workflows. Adam E. Flanders, MD, vice chair of imaging informatics at Thomas Jefferson University Hospital in Philadelphia, recommends that radiologists use the time wisely to educate colleagues and ordering physicians about the mandate and how to comply. "Right now, there is a lot of misunderstanding about what people have to do in order to be in compliance," Flanders says. "There's a whole group of people who don't know anything about this, and that's a big problem on both the ordering and imaging sides." Some providers don't realize "there's a hoop they will need to jump through when they want to order a high-end imaging study on their Medicare/Medicaid patients, and there are many radiology groups who are not prepared for this." Moran agrees: "It's really time for radiologists to start the dialogue with ordering physicians they have relationships with and make them realize that by 2019, this program is going to go live." 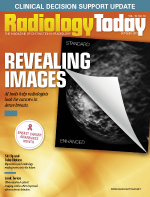 Radiologists should take advantage of the extra time "to start talking to the ordering community and start acquainting them with the mandate and getting them comfortable with it," she says. Imaging departments that have CDS embedded in their EHRs and are paperless are in better shape than those that don't, Flanders says. Moran suggests that physicians talk to their EHR vendors to make sure that their EHRs "are going to be adequate to take this program on." EHRs are the easiest way to access CDS based on AUC, Moran notes. However, she says, physicians can use free web-based portals to access AUC. They should decide now how they are going to approach this mandate and test it out, the radiology experts agree. Moran suggests ordering physicians also use the time to determine which AUC vendor is right for them. PAMA requires physicians to use AUCs that CMS has approved. To date, more than a dozen have earned the CMS qualified Provider-Led Entity (qPLE) designation, including the ACR, the American College of Cardiology, and the National Comprehensive Cancer Network, as well as those developed by universities, hospital systems, and physicians' organizations. The ACR's AUC has been developed over 20 years, "and we're adding more and updating it on a continuous basis," Moran says. "But you have to look at the breadth of our product compared to others that have been certified, and you, as the ordering physician, must decide which lends itself best to your practice." For example, Hentel says, some practices may want to fire up decision support on a broad scope of orders and require it of all physician practices no matter their specialty. Others may want to only target a combination of the required priority clinical areas and additional specific clinical conditions or physician groups for which an opportunity for improvement has been identified. The priority clinical areas CMS has identified are: coronary artery disease (suspected or diagnosed), suspected pulmonary embolism, headache (traumatic and nontraumatic), hip pain, low back pain, shoulder pain (to include suspected rotator cuff injury), cancer of the lung (primary or metastatic, suspected or diagnosed), and cervical or neck pain. When groups ask his advice on how to best implement AUC, Hentel turns around and asks them: How do providers order from your practice? In some practices, he says, 99% of orders for imaging studies come from their EHRs. But some practices still may have orders that come by paper and fax. Practices need to develop a strategy for orders that don't come electronically, he says. "I wish that I could get rid of paper and fax scripts," Hentel says, "but I don't think that's going to happen, at least not by 2020, when providers won't get paid if they don't have a decision support number in the exam order." Ordering providers may be able to apply for hardship exemptions, he says, "but no hardship exemptions have been set up for imaging practices." Another issue, says Kevin McEnery, MD, director of innovation in imaging informatics in the department of diagnostic radiology at the University of Texas MD Anderson Cancer Center in Houston, is what to do about ordering providers who don't comply with the mandate, and no doubt there will be some. One good thing about it, McEnery says, is that it's not optional, so "providers won't be able to say, 'If I go to imaging center A, I don't have to do this. Why is imaging center B making me do this?' Every imaging provider is responsible for having this information—proving they used CDS—from the ordering physician for reimbursement; the mandate requires all clinicians to use decision support," he says. Even though it's the ordering physicians who need to utilize CDS, it is the radiologist who won't get paid if they don't, McEnery notes. "And it's not just the radiologist's fee but the technical fee as well that's in jeopardy." The CMS mandate does not require physicians to adhere to the recommendations of the CDS that they use, only that they use it before ordering advanced imaging exams. CMS expects to identify 5% of clinicians who are outliers—those who don't follow the AUC. Outliers will be required to get preauthorization on their studies before they can be performed. Radiology centers will have to decide how to deal with requests for studies from those ordering providers, McEnery says. This may be one of the biggest challenges they face, he adds. Radiology departments also have to determine how they will deal with Medicare/Medicaid patients who come to an imaging center with a script for an imaging exam but have no evidence that their ordering physician used CDS, McEnery says. "The challenge is to have decision support workflows in place that are integrated in existing workflows of the imaging providers." An ordering physician may use CDS and determine an exam is appropriate, but the radiologist may believe a different exam could be better and yield more answers to clinical questions. Determining how to handle these scenarios is an additional challenge for imaging departments, McEnery says. Another possibility is that an exam ordered with CDS may need to be changed when the patient arrives because a contrast allergy is discovered or the patient is claustrophobic and can't get in the MRI scanner tube. "If you change the exam from what's on the CDS, what does that mean in terms of reimbursement?" McEnery asks. CMS has said it will provide some guidance on these issues, but it can't possibly imagine every possible scenario, he says. "What do you do when the issue presented does not have a rule to cover it?" Currently, many radiologists and physicians consult with each other if they have concerns or questions about the most appropriate imaging exam. Is there still room for these conversations? Do colleagues need to document them, or are they not part of what CMS needs to see to reimburse radiologists for the study? These, too, are questions and challenges that will have to be worked out, McEnery says. On the clinician side, CDS systems are somewhat cumbersome, McEnery says. "It's going to be a challenge for both ordering physicians and providers of the imaging to have decision support workflows in place that are integrated into existing workflows." McEnery says he wouldn't be surprised to see some scenarios where the imaging center's standard operating procedure is in conflict with CDS. "Over time, these scenarios could cause ordering providers to be considered outliers." McEnery is also concerned about whether CDS systems will allow ordering physicians to enter all of the information that radiologists need to confirm that the exam is the right test at the right time. A study published in the June 2017 issue of the Journal of the American College of Radiology by researchers in Michigan found that the CDS systems they reviewed didn't allow clinicians to provide enough information about clinical indications to judge an exam's appropriateness. The study concluded that there is a need to improve the amount and quality of clinical information available to CDS software. The clinical information provided to radiologists should not be limited to simply fulfilling the requirements of the CDS system, McEnery adds. Hentel agrees that all the information that is collected as part of CDS needs to be made available to the radiologist. "It's silly not to have it available when images are being interpreted. That's an important best practice." Hentel says imaging practices also need a way to generate feedback for their users. "At some point, individual providers will be penalized for bad behavior in ordering," he says. A feedback system can show ordering physicians how they are doing and allow them to make corrections if necessary "before any penalties would come." This is a new program, Moran says, and with any new program, "there is always going to be a transition period." Moran is hopeful that it will work out to everyone's benefit in the long run. Many are familiar with CDS tools and using them with much success, she says. They can be great resources for those who have questions, she adds.